I've struggled to find a watch for a few years now, that doesn't look huge on my tiny wrists. I love the look of these chunky masculine watches that are on the highstreet at the moment, but I just can't seem to get away with them. 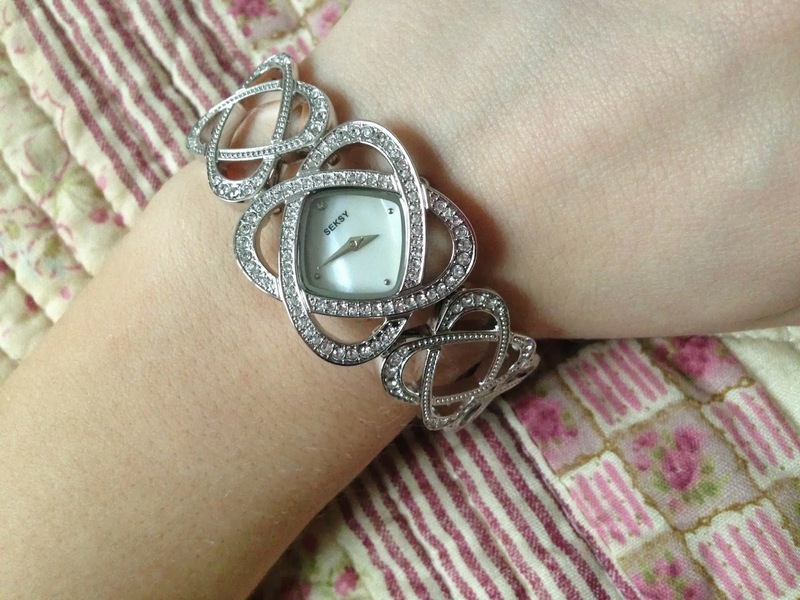 So when I was asked if I'd like to try the new Crystal Hearts watch* from Seksy by Sekonda, I couldn't turn down the opportunity of a watch that might actually fit. And boy was I right. The watch is the perfect mix of bracelet and watch, so obviously doesn't look too chunky for me. It is gorgeously girly with a mother of pearl dial face and Swarovski crystals and elements. It's so sparkly and lovely, I can't take it off! The design is from ancient Celtic designs, with interlocking hearts making it even more feminine and special. I was worried it when it arrived it would be really difficult to adjust. However, how wrong I was. The links all have open and close clasps so you simply open the clasp and remove the link you don't want - giving you the perfect size watch. 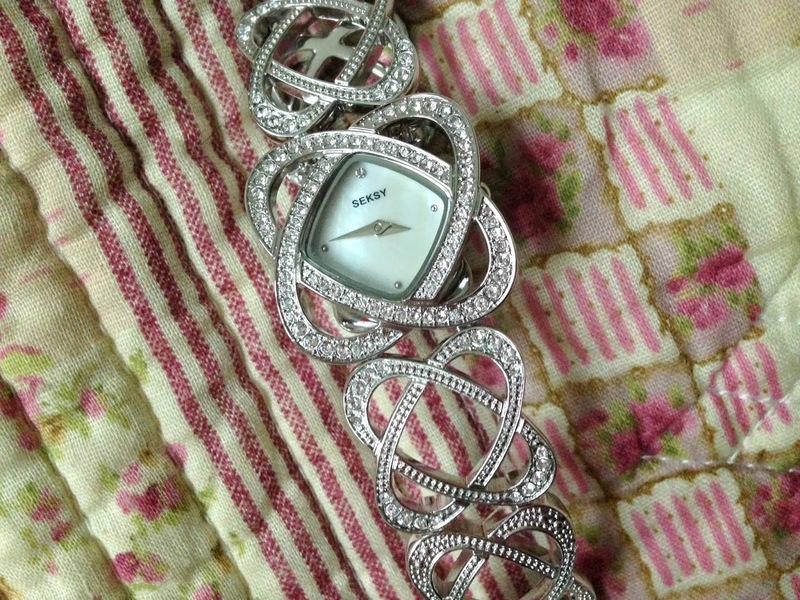 You can find out more about Seksy here and pick up your watch from H Samuel and other jewellers. 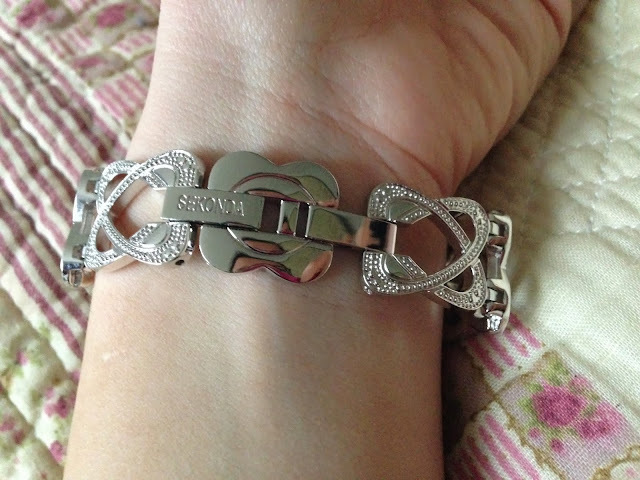 Sekonda always do such girly pieces, and like you I find them ideal for smaller wrists. I adore the crystals on this!